Biking through Annapolis Royal's 'Haunted Public Gardens'. So many amazing and spooky things to see! 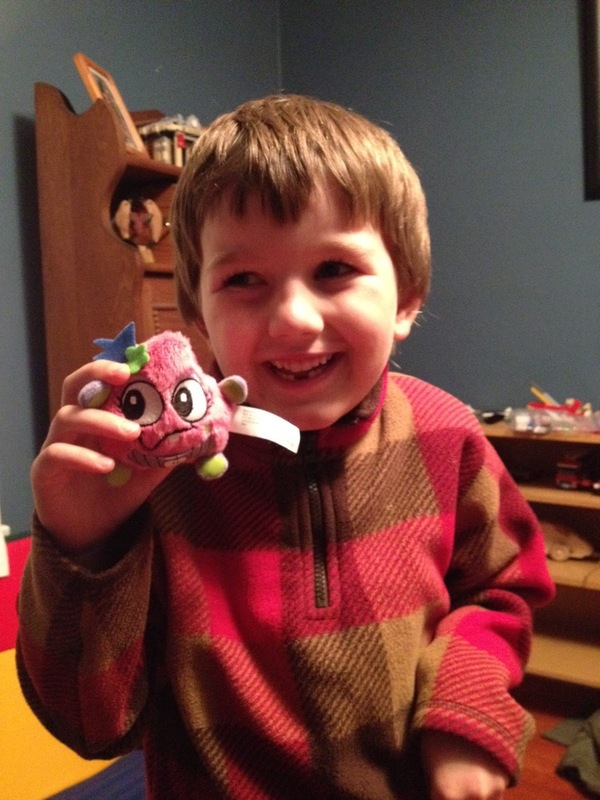 "Mom - I won a contest at school!" I was impressed, and asked what the contest was. "It was for world breastfeeding week" He could still barely contain himself. "Tell me about the contest..."
"I drew a picture and won first prize!!" OK...wow! I was not expecting that, but I was still trying to sound very impressed. Now my interest was really peaked and my mind was racing, thinking what on earth did he my little boy draw to win first prize for world breasteeding week!!?? "A mother and baby whale". My reaction was a mixture of relief, laughter and some head nods, thinking how cool it was that he thought to draw another mammal nursing instead of his ole mama! We got home and he ripped open his bookbag and there it was - the prize winning picture (which turned out to be a coloring page and made much more sense!! ), a family pass for the Y -and- he was most excited about seeing his name printed in the school's Monday Memo. 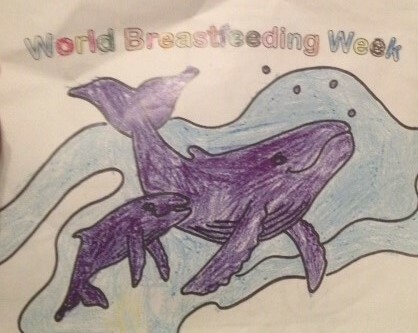 "Caleb Jeffries First Place World Breastfeeding Week Coloring Contest!" What an amazing, and very memorable, first honour to win at school!! Caleb's second tooth finally fell out after it has been just barely holding on for the last week. The tooth fell out at school, during an assembly. Caleb was sitting quietly in the gym, when he his tooth fell into his lap. There was some pain, some blood, but because there was an assembly going on, and the rules are that you can not talk during an assembly, he didn't say a word. He held onto his tooth, swallowed the little tastes of blood in his mouth, and patiently waited until the assembly was over before telling his teacher what had happened. He told me he even tried to clap along to the songs that were being sung, but he had to be very careful not to drop his tooth! What a trooper. And an obedient and respectful little trooper at that! In other news, we now have a walker in the house. At least 50% of the time, anyway. Odin did a ton of practicing while Grammie Jeffries was here and he finally has the balance and coordination to walk across a room. We are thinking of dressing him up as a drunken sailor for Halloween and letting him stumble his way around to our neighbour's houses!